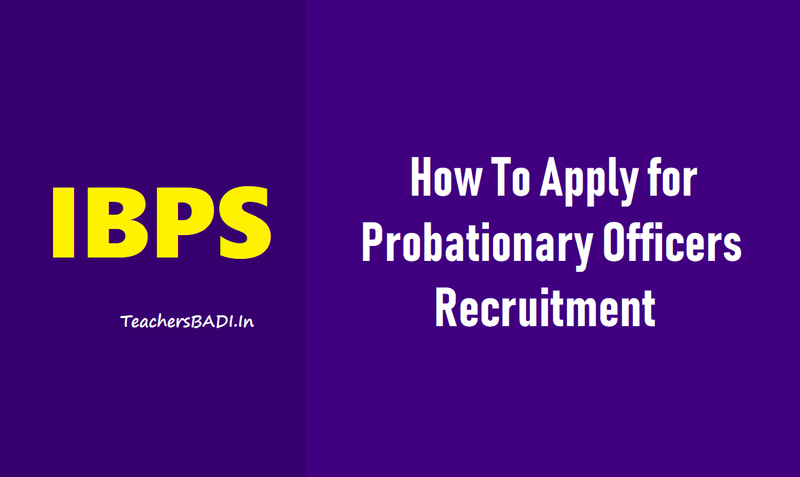 How to apply for IBPS POs 2018 Recruitment: Institute of Banking Personnel Selection (IBPS) has released the PO/ MT recruitment notification of the year. Online application process will begin on August 14, 2018 at the official website ibps.in. The last date to apply is September 4, 2018. Since this is one of the biggest banking exams conducted every year, candidates should ensure that they have a good internet connection before starting registration process. A total of 4102 vacancies have been notified by 20 participating organisations. IBPS - 4102 Probationary Officer/ Management Trainee Posts : Institute of Banking Personnel Selection(IBPS) invites applications for the online examination (Preliminary and Main) for the next Common Recruitment Process for selection of personnel for Probationary Officer/ Management Trainee posts in the Participating Organisations is tentatively scheduled in October/ November 2018. Selection Procedure: Online Preliminary examination, Online Main examination, Interview. The examination will be two tiers i.e. the online examination will be held in two phases -- online preliminary and online main. Note: All the candidates are advised to take print out of the online submitted application form. Also, the applicant must possess a valid mark-sheet/degree certificate that he/she is a graduate on the day he/she registers and indicate the percentage of marks obtained in graduation while registering online. Step 1: Candidates should scan the photograph, signature, left thumb impression. Step 2: Candidates should have valid personal email ID. The ID should be active till the declaration of the IBPS PO 2018 result as every official communication related to the exam will be made through the email ID. Step 3: Candidates should keep the necessary bank details/ card ready for paying the exam fees or intimation charges. While the application fee is Rs. 600, it is Rs. 100 for SC/ ST/ PwD candidates. IBPS will accept the fees through online mode only. The payment can be made by using Debit Cards (RuPay/ Visa/ MasterCard/ Maestro), Credit Cards, Internet Banking, IMPS, Cash Cards/ Mobile Wallets by providing information as asked on the screen. Step 4: Candidates should fill up the application form precisely. Wrong or misleading information can lead to rejection of the form. Moreover IBPS doesn't allow a chance to edit the application forms. Out of 20 participating organisations, 10 are not recruiting this year and for many details have not been updated by the IBPS. Highest number of probationary officer/ management trainee posts has been notified by Canara Bank. IBPS PO 2018: Apply now for PO posts on ibps.in - check steps for filling the online application here. IBPS PO 2018 online application forms have begun on ibps.in. Check out step by step process to fill the online application forms for IBPS PO 2018 examination and the direct link to apply below. Institute of Banking Personnel Selection, IBPS has activated the link for IBPS PO 2018 online applications. Candidates interested in filling the IBPS PO 2018 online application can now register and apply online on ibps.in. Step by step process on how to apply and fill the online application form is provided below. IBPS PO 2018 registration process would close on September 4, 2018.All interested candidates are advised to please go through the detailed notification before filling the online application form. Also, the age limit for IBPS PO 2018 is set at 20 to 30 years as on August 1, 2018. The detailed notification for IBPS PO 2018 is also provided here for your convenience. Applications of the candidates who fill the form but do not meet the eligibility requirements would be summarily rejected. 1. 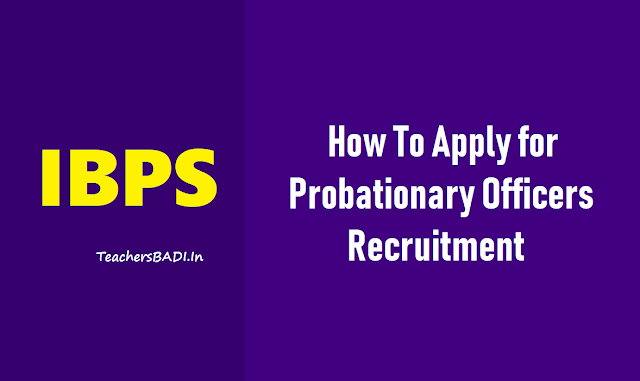 Go to the official website ibps.in and click on the activated link for Common Recruitment Process for Probationary Officers (IBPS PO 2018). The direct link is provided here as well. 2. On the new window that opens, click on New Registration at the top right hand corner of the page. 3. The registration would open. The first step is to provide personal information like name, mobile number, and email id. Once the same is provided, click on Save and Next button on the bottom right corner. 4. On the next page, your provisional registration number and password would be provided. At the page, candidates are required to upload the pictures and signatures. Please go through the guidelines for the picture and signature upload. Please note, in case of concerns, the screen would show an error. Once the image is uploaded, the picture would be clearly visible. Follow the process for signature upload. Once done, click on next to proceed. 5. On the next window, enter the details as asked and proceed. Once the complete details are submitted, the application form, as filled by you would be visible under Preview. All the candidates are advised to go through the entire application carefully. Please note, candidates would not be permitted to make any changes in the information provided after the fees is paid. 6. After the preview, candidates are required to upload the relevant documents. Please go through the guidelines regarding the upload of documents. In case the size requirements don’t match, the server would not accept the application forms. 7. The final step is to pay the fees. General and OBC category candidates are required to pay Rs. 600 for the IBPS PO Exam 2018. The fees for the reserved category candidates is set at Rs. 150. On payment of the fees, the application process would be complete. All the candidates to please note that the applications would close on September 4, 2018. Candidates are again advised to go through the detailed notification. Also, the process of filling the online application form should be completed at one go to avoid concerns at a later date.